We have a series of talks at Vegayan on “7 Habits of Highly Effective People” by Prof Kulkarni, IITB. 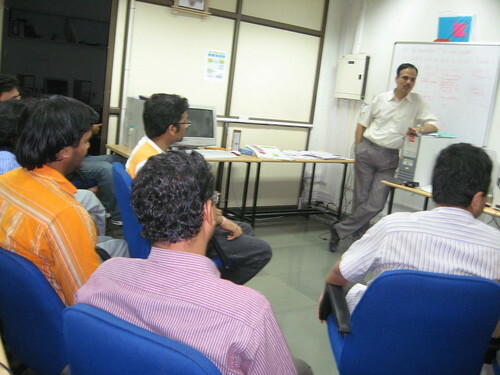 He brings with him experience of training Executives and Foremen at Crompton Greaves. These talks are based on the book with the same title. The book teachings are nothing but bare common sense. The seven habits provide a framework for understanding personal development. We thank Prof. Kulkarni for the insight into these seven habits.